Stretching for your back can go a long way towards relieving the muscle tension that is the most common cause of back pain. 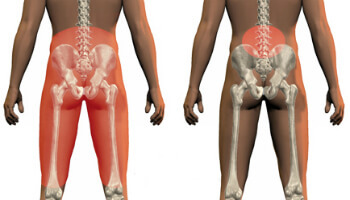 Lower back stretches should be perform carefully to avoid potential injury. 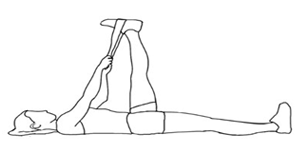 We have a list of some simple and very light impact stretches that you can perform at home. Start in a kneeling position. Drop your buttocks down on your heels as low as you can. From here, keep your lower body in the same place and start crawling your hands up as far as you comfortably can. 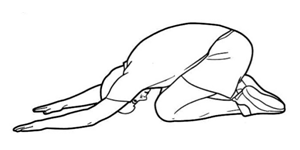 Hold this position for 3-5 minutes. Keep your shoulders & neck relaxed. Remember to breath normally. Lay on your back with your knees bent. Keep your knees together, gently let both knees fall to one side while avoid lifting your hip up from the floor. Repeat the same movement to the other side. Perform about 10-15 times to each side. Lay on your back with your knees bent. Bring both of your knees up and hold them with your arms. Slowly pull the knee closer to your chest. Hold it for 1 minute. Then bring you legs down. Repeat for 10-15 times. Lay on the ground with face up and your knees bent. Bring one of your leg up and with both hands slowly pull the knee closer to your chest. Hold 1 minute. Bring the leg down and repeat with the other leg. Perform 10-15 times on each side. Lay on your back with knees bent. Cross your right ankle over your left knee. Pull your left knee up with your hands towards the opposite shoulder. Hold 1 minute. Repeat with the other side. Perform 10-15 times on each side. 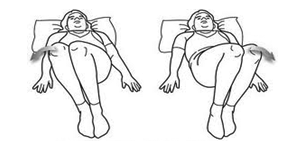 Lay on your back and bring your right knee into your chest. Place a strap/towel around the ball of your right foot. Straighten your right leg toward ceiling. Hold 1 minute. Repeat with other leg. Perform 10-15 times on each side. Remember to keep it at your tolerance level.